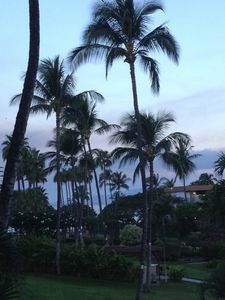 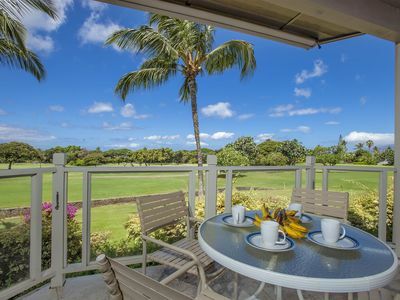 A warm aloha awaits you at Hale Kamaole. 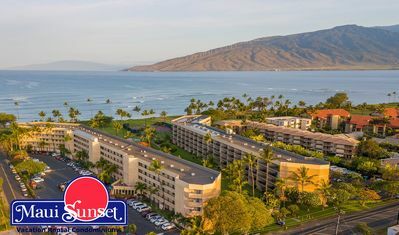 These spacious condominiums, set in beautifully landscaped grounds, are an ideal setting for a relaxing sun-soaked vacation. 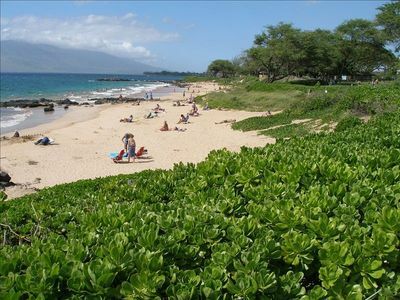 You can walk across the street to Kamaole Beach Park III, which is one of the most popular family-friendly beaches on Maui. 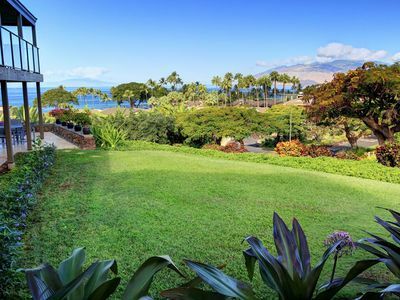 Tourists and guests enjoy the large grass lawn that fronts the beach which is great for picnics, throwing a frisbee/football, or hosting parties. 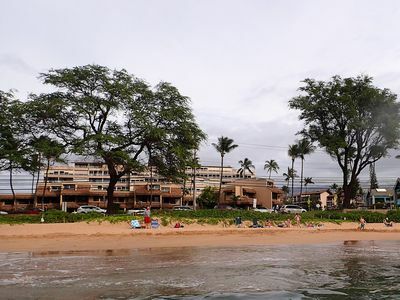 The beach itself is watched by lifeguards daily, which provides an extra layer of comfort for families with children. 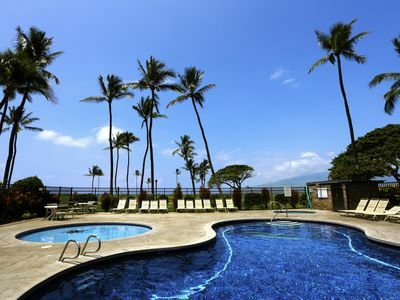 After a day at the beach, return to the condo for a dip in one of the two pools, or a game of tennis, followed by a barbecued meal. 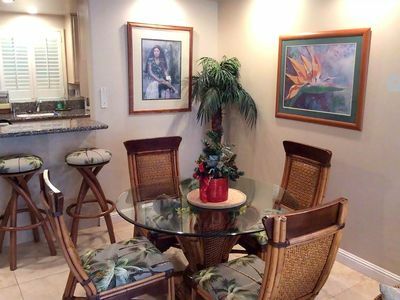 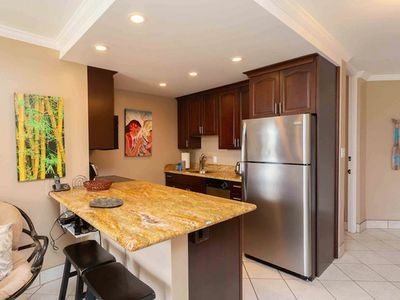 This tropically decorated one-bedroom condo has a private ground floor lanai (so you can walk right out the the grassy lawn and across the street to the beach), fully equipped kitchen, and in-unit washer/dryer. 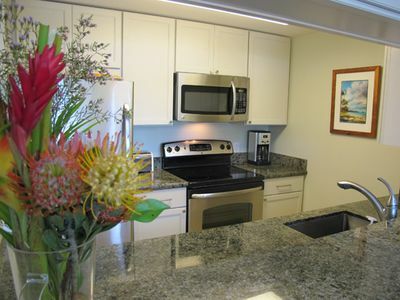 Also take advantage of cable TV, free WiFi, in-room safe, ceiling fans, bedroom air conditioning, and beach towels. 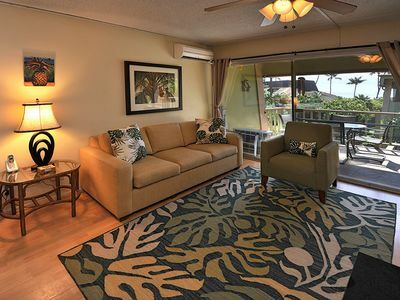 Our master bedroom has a California king size bed for extra comfort. 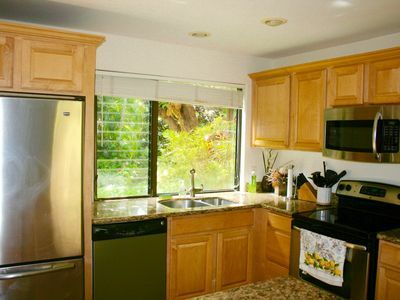 The bathroom has a tub/shower combo. 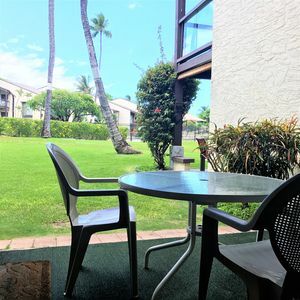 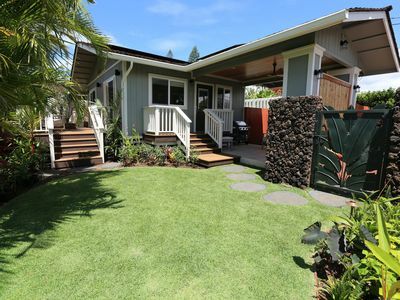 The Hale Kamaole is located in South Kihei walking distance to some great dining options and shopping options. 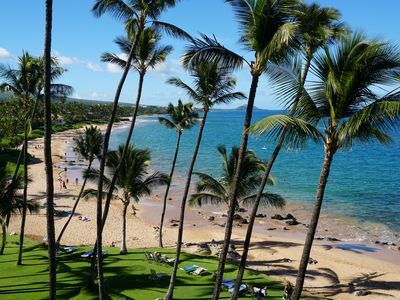 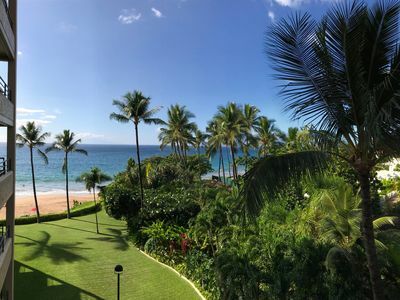 You can easily drive into Wailea for golfing, high-end shopping, and additional beach options! 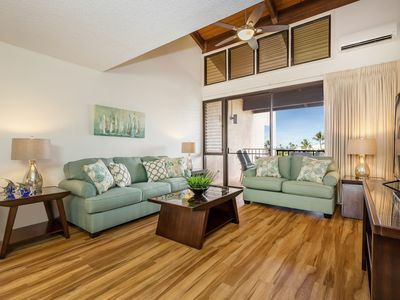 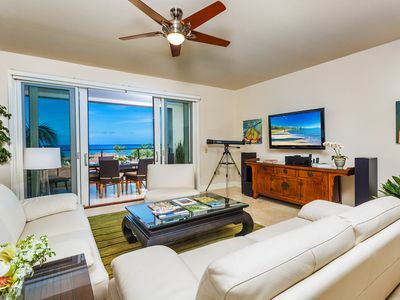 This condo is managed by an on-island vacation rental company. 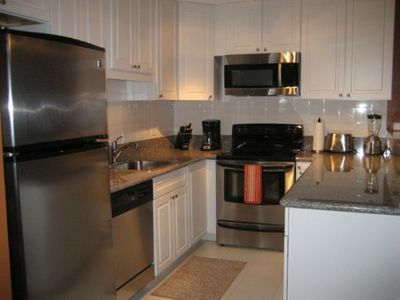 All responses to this listing will come from them. 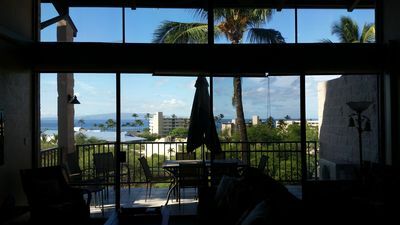 Ocean, Pool and Tropical View-Kihei Kai Ocean View Condo 23.